Meditation can improve your life in incredible ways. It reduces stress, increases happiness, and can even slow the aging process. As popular as the practice has become, some find it hard or intimidating to begin. Meditating requires the quieting of the mind, and many people with busy lives and brains find that hard to do. Luckily, there are plenty of tricks and techniques that will help you get started. 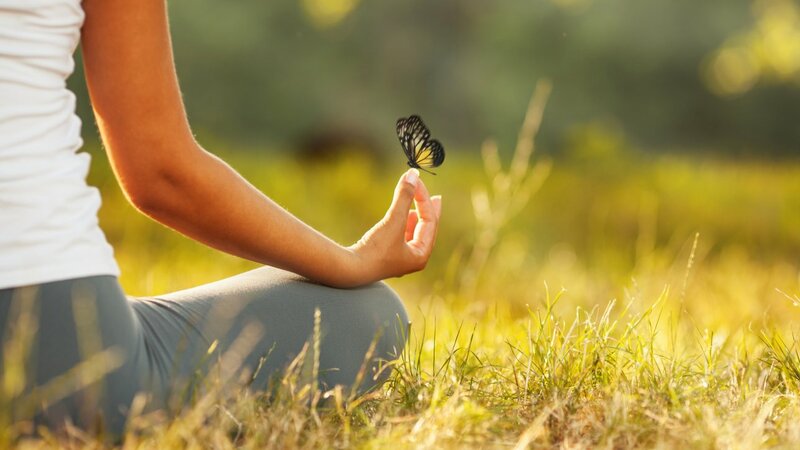 Here are 3 inspirational meditation tips for beginners. Before diving into meditation, you should know the basic idea behind it. The general goal of meditation is to clear the mind and get to a point where you’re no longer thinking. During a session, you should always try and focus your attention on the breath. This simple practice has a wealth of benefits, both mental and physical. Individuals who are prone to stress, anxiety and overthinking respond well to meditation. Meditating allows you to recognize negative thoughts and place less importance on them. It can help you become more productive and creative. It can even boost your memory. With that in mind, let’s delve into how to meditate properly. Surroundings are very important when it comes to meditation. The ideal space for your practice is quiet and comfortable above all else. Find wherever that may be for you to get started. To meditate, you can either sit on a chair or on the ground. If you opt to sit on the ground, it’s a good idea to have a cushion underneath you. Pick a good time a day when you’re less likely to become distracted. Concentration and focus are everything. Sit in an upright position. The goal is to stay alert but not too tense. Keep your back straight, but always choose the body position that’s most comfortable and easy. You can have your legs crossed or not. You can keep your eyes open or closed. There’s no right way to look while meditating. The idea of meditating may seem overwhelming. That’s why starting out simple and small is a perfect way to ease into the practice. Instead of going for a 30-minute session, start with a couple of minutes at a time. Three to 5 will do at first. As you become more familiar, you can start working your way up to longer periods. Setting a gentle timer is one way to stay on track while meditating. Always keep the simple purpose of meditation in mind focusing on the breath. Don’t put pressure on yourself to have some grand realization or epiphany. This is especially true for beginners. If you find sitting meditation difficult, try doing it while walking. While you walk, focus on your body, breath, and the sensations all around you. Practice is the way to get the most out of meditation. Finding a steady routine or groove is better than doing it in sporadic bursts. If you can shoot for a daily session even if it’s for a small period of time. When you practice, don’t panic or berate yourself when your mind wanders off. It happens to every person, even the most seasoned meditators. Be gentle and bring your mind to the breath. One way to add texture to your practice is to explore the different types of meditation. Understanding mindfulness principles can help you further invest in your experience. Meditating encourages a healthy lifestyle and a better outlook on life. There are no downsides to committing yourself to the practice. And with these solid meditation tips, you’re well on your way to becoming a master. To read more motivational articles on healthy living, check out my blog.